COOL! The outfit I made for my niece fits and she loves it!!!!!!!!!Oh! She is so CUTE!!!!!!!! 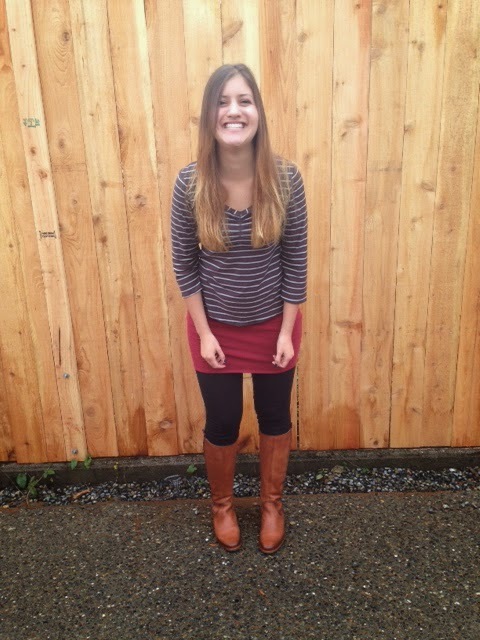 She loved the chance to sport her new boots! The Tee is Gertie's Sweetheart tee! 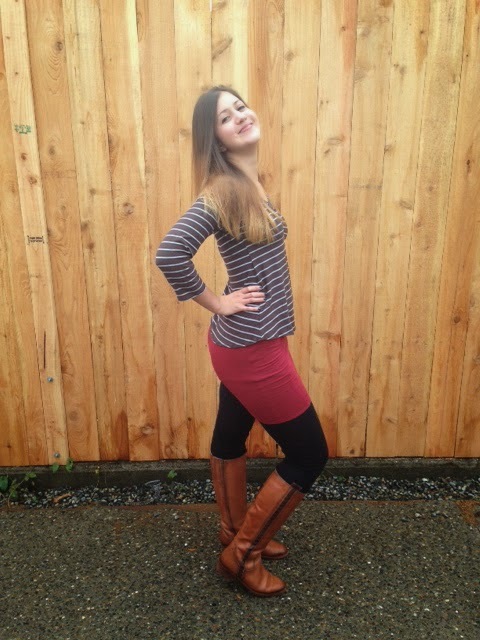 I used a great soft bamboo knit which she loves! This totally cool Tee is from Gertie's new book "Gertie Sews Vintage Casual" which you can find on her blog or on Amazon http://www.blogforbettersewing.com/. This book is amazing! TONS of great information, excellent drawings, photos, plus 10 different patterns in the back of the book which are all pretty easy. She then gives 4 or 5 different ways to alter each pattern which really gives you 34 patterns!!!!!!!! Gertie's first book "Gertie's New Book for Better Sewing" is also great and inspirational but seems like it is for more advanced sewing that I have not reached yet. 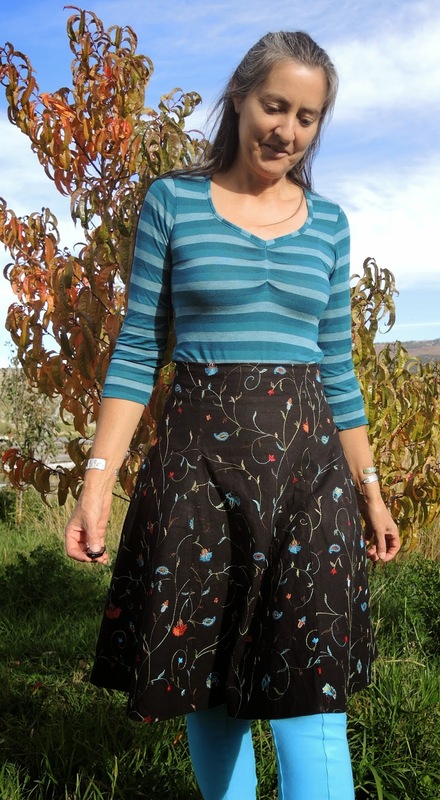 The Skirt is the Mabel from Colette Patterns https://www.colettepatterns.com/sewing/mabel. The leggings are the Oh La Leggings from Papercut Patterns papercutpatterns.com/.We Both agree that the sew lines of the leggings DO NOT WORK with the mabel! Oh well she will wear them with other things! Here is Gertie's Sweatheart Tee! 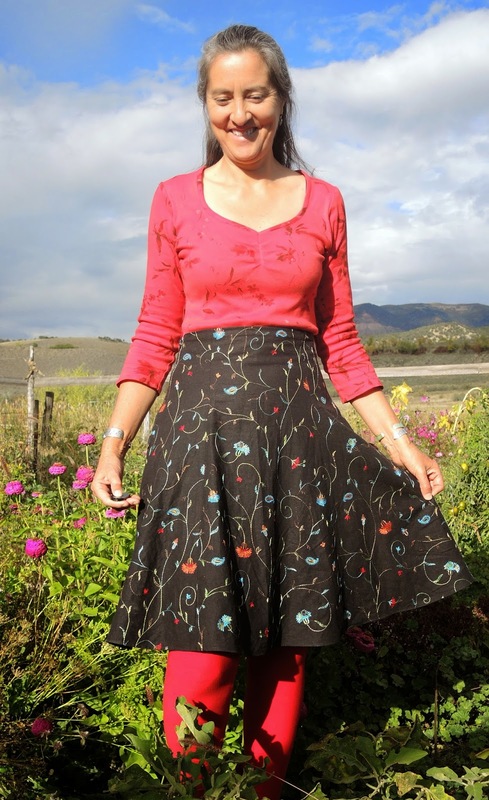 The skirt is something I started sewing years ago and I just reworked it in order to make it fit. 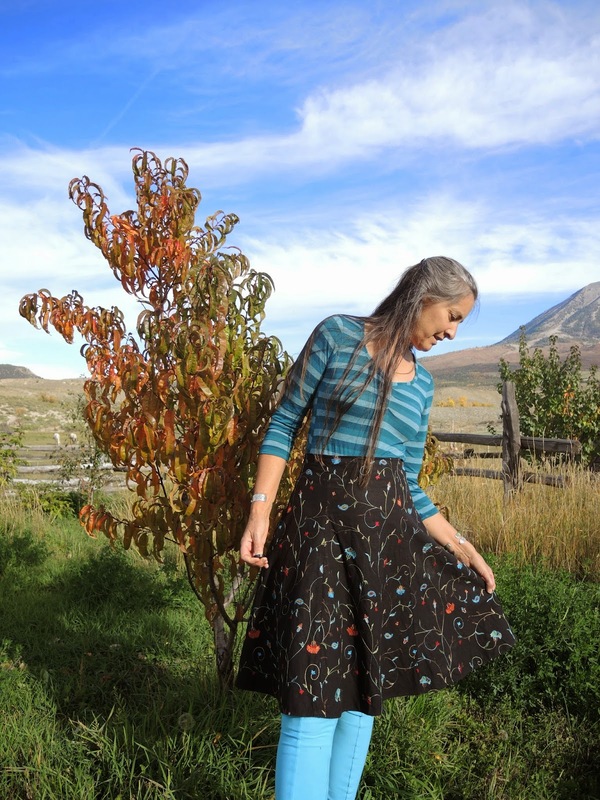 I Love this Gertie's Tee pattern! I did add about a half inch to each side of front tee which made the neck a little more narrow and brought it up a little higher. This keeps my bra straps from being visible on the sides. I had to take out about one and a half inch at the back top of the tee tapering off down the back. I LOVE this sweetheart neck line!!!! and I needed red so I dyed this fabric and I am happy with the color! I also needed a stripped tee! The gathers on the bodice are so cool!!! 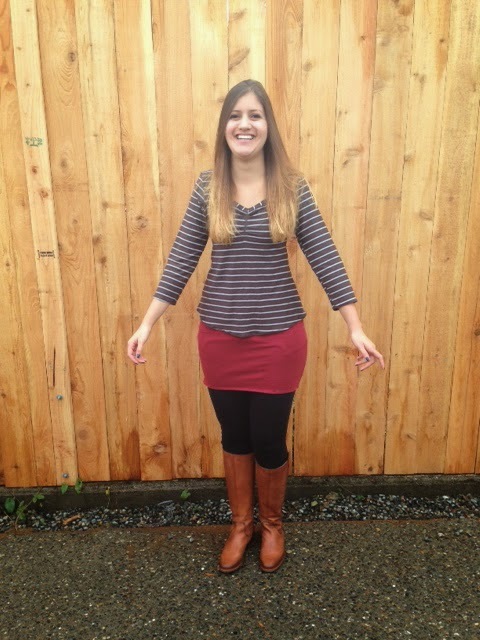 I LOVE that this skirt does not have a waist band! And it is pretty high waisted which I like!!!! 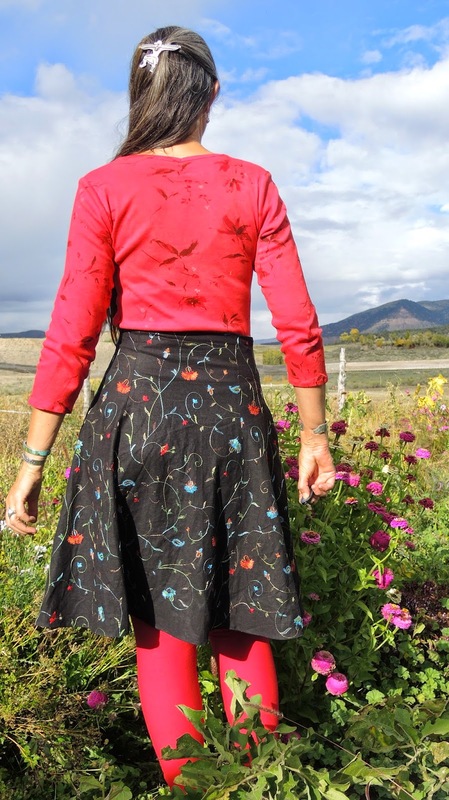 I LOVE this fabric I used for the skirt -it is a linen with embroidery on it!